TUE 16:15-17:45 P1: Rise of Machines: Bots in Network Operations Centers? Today, there is both a need and an opportunity to apply big data and machine learning (ML) technologies in network and system management area. Due to current and future wave of mobile, cloud computing and IoT technologies, demand for data traffic, network scale and complexity are ever increasing. Today’s complex networks also generate lot more sate related data, which if analyzed can provide value in network management. This is motivating network operators to consider automation of network management functions to achieve scale and also drive down network management costs at the same time. In addition, advent of SDN and NFV is opening up avenues for more automation in network management. With SDN and NFV, it is possible to implement tighter and automated closed loop management systems, i.e., by programming the network on the fly in response to changes in demand patterns. On the other hand, SDN and NFV are likely to require new kind of network management approach. In this backdrop, the third trend – advent of big data and machine learning (ML) technologies, is encouraging people to explore whether these can aid network management and operationalization of SDN and NFV. What are the opportunities of big data and ML technologies in telecom and network management domain? Which areas will provide good return on investment (ROI)? What are some good/successful examples of use of these technologies? In what way SDN, NFV, network/system management, big data and ML interplay with each other? What are the technical and business challenges of using big data and ML in these areas? Big data and ML infrastructures themselves are large scale network, compute and storage systems. Does management of these infrastructures pose significantly new technical challenges? If so, in what way? What are the technology innovation and development imperatives here? Amitava Biswas is a practicing technologist and inventor and management professional with expertise in: software engineering; networking, large computer systems design, management of engineering teams and projects, and technology business. He has worked for thirteen years in software and hardware industry as an architect, engineering leader, engineer, engineering director, engineering manager and technology business expert in the USA, Canada and India. He also taught for 3 years at several business schools. Currently he is working as a technical leader, network management subject matter expert and researcher at Cisco. Before that he worked in networking, computer software and systems business like Juniper Networks, AT&T, Samsung, IBM, etc. He also had several inventions while working there.He had obtainedPhD in Computer Engineering from Texas A&M University, USA, MS from Concordia University, Canada, MBA from Indian Institute of Management- Ahmedabad and B.Tech (Hons) from Indian Institute of Technology-Kharagpur. He was a certified Information System Professional in Canada. He had peer reviewed journal and conference articles, book chapter and research grant proposals. He had been invited several times to present in workshops and events organized by US National Science Foundation (NSF), industry organizations and educational institutes. His past, present professional and honor society memberships are with IEEE Computer Society, IEEE Engineering Management Society, Phi Kappa Phi, TiE Silicon Valley, Houston Strategic Forum and Canadian Information Processing Society. Radha has been in the software industry for 25 years. At present she is the Vice President for Software Defined Environments at IBM Research, T. J. Watson Research Center. There she is leading a global Research team towards creating differentiated IBM offerings to meet the needs of Hybrid Cloud deployments. Earlier as the Vice President of IT and Wireless Convergence at IBM Research. Radha, she influenced IBM strategy in this emerging market opportunity. Before that as Director of Commercial Systems in the Systems Research branch ofIBM Research, she was responsible for innovation in the areas of the differentiated enterprise Systems p, Systems z, and System x. As an Area Strategist for System Software for worldwide Research Labs in Yorktown, Hawthorne, Haifa, Tokyo and Beijing, she also lead the research initiative in the area of Cloud Computing. Her role also covered Compilers & Firmware, end-to-end performance, Operating Systems & Hypervisors, Virtualization & Integrated Management, and Networking (with a focus on Wireless Networking and Cloud enablement). She is a graduate from Indian Institute of Technology (IIT), Delhi and started her career with TCS in India. Dr.Roche Glitho has worked in industry for almost a quarter of a century and has held several senior technical positions at LM Ericsson in Sweden and Canada as an expert, principal engineer and senior specialist. His industrial experience includes research, international standards setting (e.g. contributions to ITU-T, ETSI, TMF, ANSI, TIA, and 3GPP), product management, project management, systems engineering and software/firmware design. At present, he is the Canada Research Chair in End-User Services Engineering for Communications Networks and leads the Telecommunications Service Engineering Laboratory and an Associate Professor of Networking and Telecommunications at the Concordia Institute of Information Systems Engineering (Concordia University, Canada). He is also an adjunct professor at the department of Computer Technology, University of Milan, Italy, and at the Institut de Mathématiques et Sciences Physiques (IMSP), University of Abomey-Calavi, Republic of Benin. He is a member of several editorial boards including IEEE Network and IEEE Communications Surveys and Tutorials. In thepast he has served as IEEE Communications Society distinguished lecturer, Editor-In-Chief of IEEE Communications Magazine and Editor-In-Chief of IEEE Communications Surveys & Tutorials. His research areas include architectures for end-users services, distributed systems, non conventional networking, and networking technologies for emerging economies. In these areas, he has authored more than 100 peer-reviewed papers, more than 30 of which have been published in refereed journals. He also holds 24 patents and has several pending applications. Roch Glitho [SM] holds a Ph.D. in tele-informatics (Royal Institute of Technology, Stockholm, Sweden), and M.Sc. degrees in business economics (University of Grenoble, France), pure mathematics (University of Geneva, Switzerland), and computer science (University of Geneva). He is a Senior Member of IEEE. Dr. Alberto Gonzalez Prieto is a Technical Leader at Cisco Systems and Adjunct Faculty at San Jose State University. Previously, he was with AT&T Labs Research, and NEC Network Laboratories. Dr. Gonzalez Prieto received his M.Sc. in Electrical Engineering from the Universidad Politecnica de Cataluña, Spain and his Ph.D. in Telecommunication from KTH, Sweden. He serves in the Technical Program Committees of IEEE/IFIP NOMS and IFIP/IEEE IM. He is an associate editor for the Journal of Network and Systems Management and the International Journal of Network Management. His interests include management of large-scale networks, real-time monitoring, and cloud management. Tim Epkes is a Principal Software Architect at Brocade Communications working in the mobile space. Tim has been in the networking world for approximately 27 years, working with Satellite providers, data centers, core/edge, enterprise and 3G and 4G/LTE networks. Currently, Tim develops prototypes for SDN architectures, including leveraging network data and subscriber context in feedback loops to decision systems. Such techniques provide more efficient systems for networking and information visualization. Some SDN services were realized, and reached needs of both end customer's application and business operation. Here, the key words and benefit of the services are speed and low cost. Recently, the end customers require not only simple network function on SDN but also a sophisticated network function (LB, FW, and so on) and data storage. “SDI is not a single technology but a group of technologies, tools and processes that enables a software-defined management structure for a domain infrastructure (with servers, networks, storage). The below are keywords of software policy based automation! Orchestration: a policy engine that allows higher-level frameworks to manage “composition” dynamically without interrupting ongoing operations – “control plan”. Composition: a low-level layer of system software that continually and automatically manages the pool of hardware resources. The term “data plane” has been used by the networking community for many years, but it does not translate well to other datacenter domains. How do we realize the SDI model? What function do we need for it? What is the existing real example of SDN / NFV / SDS? What is the management system for SDI? And what is difference between past management system? What is the benefit? To whom? How big is the benefit? What are the key skills required for the operating SDI? Catalin Meirosu joined Ericsson Research in Stockholm, Sweden in 2007 and is currently a master researcher there. He drives research and innovation for network management for unified cloud and carrier networks infrastructure. Prior to Ericsson, he was a project development officer with TERENA in Amsterdam. Catalin holds a BSc (1999) from Transilvania University in Brasov, Romania, an MSc (2000) and a PhD in telecommunications (2005) from Politehnica University, Bucharest, Romania. Throughout his PhD studies, Catalin was a project associate at CERN, Geneva, Switzerland, working on network technologies for the data acquisition system of the ATLAS experiment at the Large Hadron Collider. Catalin has four granted patents, co-authored over thirty scientific papers and has several patent applications pending related to his work in software-defined networks at Ericsson. He worked on network measurements, monitoring and self-management in the European-funded international research projects ESPRIT SWIFT, FP6 NoAH and FP7 4WARD. He is working to develop DevOps capabilities for service providers in the FP7 UNIFY project. 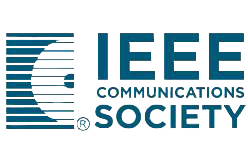 Catalin is a Guest Editor for the IEEE Communications Magazine Special Issue on Network and Service Virtualization, to be published in February 2015. He was a member of the Technical Program Committee for IEEE Online Greencom 2011- 2014 and has reviewed for IEEE IPOM 2009 and IFIP/IEEE IM 2015. Young-Tak Kim graduated Yeungnam Univ. in Feb. 1984, and received Master Degree and Ph.D. from KAIST (Korea Advanced Institute of Science and Technology) in 1986 and 1990, respectively. He joined Korea Telecom (KT) in March 1990, where he had researched and developed the ATM Metropolitan Area Network (MAN) Switching System, and the networking technologies of the ATM Highway for Korean Information Infrastructure. From 1991 to 1994, he participated in the standardization activities of ITU-T Study Group 13 as the representative of Korea Telecom, where he submitted several contributions on the transport network for multimedia telecommunications, including ITU-T I.371. He had been joined in the design and implementation of NIST (National Institute of Standard and Technology) GMPLS Simulator during his 1 year’s Sabbatical (February 1, 2001 ~ January 31, 2002). His research interests include following fields : Transit Networking Technology for QoS-guaranteed Next Generation Network (NGN), TINA (Telecommunications Information Networking)/TMN (Telecommunications Management Network), and Programmable Network Interface with Active Networking Technologies. Young-Tak Kim is member of IEEE Communication Society, KICS (Korea Institute of Communication Society), KISS (Korea Information Society), KIPS (Korea Information Processing Society), and Korea Multimedia Society. He is an Organization Committee of KNOM (Korean Network Operations and Management), APNOMS (Asia Pacific Network Operations and Management Symposium) 2003 (Fukoka Japan), APNOMS 2005 (Okinawa, Japan) and also an Organization Committee of NOMS(Network Operations and Management Symposium) 2004 (Seoul, Korea). He has been elected as the Technical Program Chair of IEEE ComSoc CNOM (Committee on Network Operations and Management) in 2005 ~ 2006. Dr.Shin Miyakawa received B.S, M.S. and Ph.D. from Tokyo Institute of Technology then joined NTT (Nippon Telegraph and Telephone Corporation) in 1995. Since then, he has done in several R&D and business incubation projects in Internet technologies fields. He initiated NTT's IPv6 effors back in 1996 and moved to a laboratory (an article of CNN. Now he belongs to NTT Communications Innovative IP Architechture Center in Tokyo, Japan as Sr.Research Manager and is leading the IPv6 related technology development and business incubation project. Also he is an active participant of IETF IPv6 related working groups and the author of RFC3769. Visiting researcher of Keio Research Institute of Keio University, WIDE project member. Rodney Wilson is responsible for Ciena’s leadership & interactions with universities and the research community, including national research and education networks. Residing within Ciena’s CTO organization, he is able to orchestrate intersections between emerging technologies and research network experiments. He is a frequent contributor to research projects, advanced technology demonstrations, and discussions about the future of computer communications technologies and optical systems. Prior to his current role, he was a senior advisor for the CTO at Nortel, and held other advanced technology roles during 13 years with the company, including director of broadband switching and optical Ethernet R&D. Originally trained in Electrical Engineering at Ryerson University in Toronto Ontario, the University of Toronto and is a graduate of the Executive Management school at Stanford University in Palo Alto California. He is a recipient of the Queen Elizabeth II Jubilee medal for his service to Canada. WED 16:00-17:30 P3: DevOps: a New Way of Managing Systems and Networks? Devops is a term derived from the convergence of two major trends: “agile software development”, which is a group of methods in which requirements and development products evolve in an iterative fashion between cross functional and self-organizing teams and “agile operations”, which represents similar lean and agile approaches to operations work. Traditionally, development and operations have been distinct activities performed by different teams in sequence: The development team produces a software product, which is then handed over to an operations team for installing into the production environment and managing its steady-state requirements. The very nature of this process with distinct development and operations teams communicating through well-structured ITIL processes has proved to be lengthy, unresponsive, error prone, and requiring separate teams with different skills. The DevOps movement is poised to improve on the above limitations and change the traditional way of managing systems and networks. It advocates a continuous methodology for development and deployment, effectively blurring the traditional barriers between development and steady-state management of systems and applications. In a DevOps-governed world, the length of the cycle of development of a new version of an application and its deployment into production is significantly shortened, leading to a more efficient way of managing/updating systems for the fast-changing web-connected world. The benefits are directly measurable: shorter software development cycles, fewer failed deployments, and fewer bug fixes. Unlike traditional enterprise IT departments and network operators, major platforms such as eBay and Facebook update their production applications many times during the day, with noimpactin reliability or performance. Is DevOps a must have for any organization and if so, how does one enable a transformation to DevOps? What changes are required in tooling and team skills & structure? What benefits can be realized by compute and network service providers? How does practicing DevOps challenge traditional management practices such as monitoring and control? What new challenges and research topics exist for our research community? Dr. Anerousis (Moderator) Dr. Anerousis is Senior Manager, Service Delivery Automation, at IBM's TJ Watson Research Center, which he joined in 2003. In this role, he leads an organization responsible for developing distributed systems automation technology for cloud. Prior to IBM, Dr. Anerousis was the CTO of Voicemate, a venture funded startup that pioneered voice authoring technology for the financial markets. He started his career at AT&T Labs-Research working on network and service management. Chris Bachalo is currently the Chief Technical Officer for Juniper Networks Canada. Mr Bachalo has accumulated 25 years of experience in the Canadian telecom industry. He joined Juniper in 2010 from Alcatel-Lucent (and former Newbridge Networks) where he was VP of Systems Engineering for 17 years. Chris is focused on building telecommunications solutions for Canadian service providers and large enterprise. He is also heavily engaged in Canadian academic research and has participated in multiple technology advisory boards including: University of Toronto Masters of Engineering in Telecommunications Advisory Board, NodeLogic Networks Technical Advisory Board and currently serves on Algonquin College Photonics and Laser Technology Advisory Board, BRIC/University of Regina (Bridging Research and Interoperability Center) Industry Advisory Board, SAVI/Univeristy of Toronto/York University (Smart Applications on Virtual Infrastructure) Industry Advisory Board, CENGN (Center of Excellence for Next Generation Networking) Industry Advisory Board, Invest Ottawa ICT Industry Sector Advisor, BCNet Industry Advisor, Nuvollo Networks industry advisor and is cofounder/technology advisor/co-author of primary patent for Enermotion Inc, a Canadian cleantech company. Chris has a BASc in Electrical Engineering from the University of Windsor and studied at the University of Toronto toward an MEng in Electrical Engineering. Dr. Andrzej Kochut is a Research Staff Member and Manager at the IBM T. J. Watson Research Center.His research interests are in computer systems, networking, stochastic modelling and performance evaluation with recent focus on virtualization and cloud computing. Dr. Kochut is an active author and member of program committees of IEEE and ACM conferences and was also recognized with two Best Paper Awards. Dr. Kochut received his Ph.D. in Computer Science from the University of Maryland, College Park in 2005. THU 14:00-15:30 P4: On the Management of 5G Networks: New Challenges or Same Old Story? Autonomic and cognitive network management has been extensively sold as the next generation of management for future networks. Till today, their introduction to manage services and networks is a hot concern for all the actors in the telecommunication and IT industry, and their full industrial adoption is still to be proven. During the last years, some progress is acknowledged. The first pre-standard defining a global autonomic architecture is already public by ETSI/NTECH, and the Self Organized Networks (SON) standardized by 3GPP, is deployed in current mobile networks. Furthermore, the industry driven research and innovation is accentuating the need for cognitive techniques to manage the complexity of 5G networks and beyond. 5G is envisioned as the next generation of mobile networks since 2012. 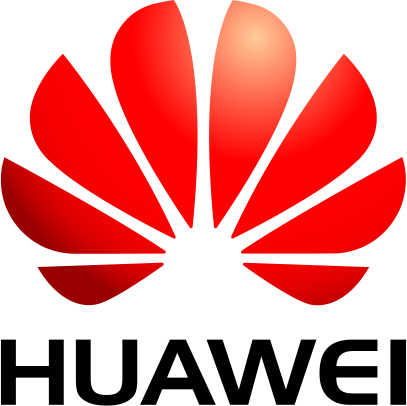 Several initiatives took place in Asia, America and Europe like the MOST (Ministry of Science & Technology) 5G project in China, the 5G forum formed in South Korea, the “2020 and beyond” Ad Hoc group in Japan, The 5G Infrastructure Public Private Partnership (5G PPP) and several standardization related activities. Despite these numerous initiatives, vendors and operators neither share a common and single definition nor well-defined killer applications that require this shift of generation. Some vendors think that 5G is the opportunity to build an open and innovative platform for communications; others consider 5G as a novel brand gathering current and future network architectures, technologies and usages. In some cases 5G is also confused to be the massive development of IoT. Meanwhile some requirements are common and shared about 5G, as declared in GSMA report: faster data transfer rates, shorter latency, availability, security, lower costs and power consumption and high performance in fast mobility situations. Major vendors and operators announced their trial laboratory and visions for the 5G era with respect to these requirements highlighting in particular the need for effective management paradigms and techniques to support the complexity expected by 5G. This complexity is highlighted by stronger requirements for supporting dynamicity, multi-criteria optimization and faster deployment of network services. It is also driven by the plethora of difference devices and “things” (M2M, home networks, terminals, entities from other domain e.g. smart cities) to be managed. Additionally, the convergence of IT and Telco industries is creating both opportunities and challenges to be considered when designing and building the 5G networks. The panel explores the need for cognitive management operations for 5G and assesses the future research directions in the network and service management field to handle the expected shift of magnitude, paradigms and usages by 2020. How and why 5G will be the opportunity for larger deployment of cognitive management operations? How far the softwarization is enabling this? If automation will alleviate the load of human, will network management become really more complex to implement in 5G while taking into account the requirements on 5G networks? Do we need to manage cognitive networks or are we about to implement cognitive management of networks, in particular when it comes to closed loop. E.g. flat cognitive networks vs hierarchical cognitive networks. What is suitable to realize the 5G requirements? 5G networks are expected to rely on extremely hybrid infrastructure and to provide services to billons of users with strong requirements of availability: How to consider both cognitive and non-cognitive management in 5G network? E.g. is it advisable to have both? Is it scalable? What is the Role of standards? Cognitive management will avoid some misconfiguration and malfunctioning, but what happens if there is a software bug or if we lose part of the information? How to ensure the 5G 99,999% of availability? Data analytics and knowledge generation are the basis of cognition. In 5G the data sources will be further disparate and multiples how this will impact the performance of management system? Dr.Imen Grida Ben Yahia (Moderator) is a senior research & development engineer at Orange Labs. Imen is involved in mobile network resilience activities where she is leading studies on end-to-end network management (OA&M/OSS) for Orange affiliates. Imen is currently Orange Expert on Future Networks, leading research contracts and supervising PhDs in the domains of end-to-end network and service management with autonomics and cognitive techniques. Her research activities include adaptive workflows, semantic techniques, self-healing mechanisms for SDN and NFV based networks and abstraction languages and techniques. She is also contributing to Orange internal studies on the definition of 5G management. In 2008, Imen received a Ph.D in Communication Networks from Paris.VI University and Telecom SudParis. She is the author/co-author of more than 40 papers in international conferences and journals. She contributed to national and European collaborative projects SERVERY, UniverSelf, and recently participating to the national REFLEXION project (ANR). Dr. Anerousis is Senior Manager, Service Delivery Automation, at IBM's TJ Watson Research Center, which he joined in 2003. In this role, he leads an organization responsible for developing distributed systems automation technology for traditional as well as emerging cloud-based IT delivery models, and infusing it in IBM's strategic outsourcing business. The work covers most functional areas of IT management such as system administration, monitoring and control, resource optimization, virtualization, security and compliance. Prior to that role, he managed a team of researchers working on services quality, particularly the measurement of quality and health for managed IT services, predictive analytics, optimization techniques and efficient operation models for IT delivery. This work has contributed to IBM's continued leadership in services quality and operational efficiency. Earlier in his career at IBM, he worked on high-performance distributed middleware technology to optimize and manage multiple virtualized resources. The work led to the WebSphere Virtual Enterprise product. Prior to IBM, Dr. Anerousis was the CTO of Voicemate, aventure funded startup that pioneered voice authoring technology for the financial markets. He started his career at AT&T Labs-Research working on network and service management. He also served as adjunct faculty at the department of Electrical Engineering at Columbia University. In addition to his current focus on automation technologies, he has an extensive background in software engineering, networks,middleware and services. He has worked and consulted extensively on all aspects and stages of the innovation lifecycle, from design, financing, prototyping, development to strategy and steady-state operations. He is an internationally recognized expert in the field of distributed systems and network management, having authored numerous peer-reviewed publications on the subject and delivered tutorials and keynote presentations. Dr. Anerousis received the Ph.D., M.Phil. and M.S. degrees in electrical and computer engineering from Columbia University, and a B.S. degree in electrical engineering and computer science from the National Technical University of Athens. He is also a certified karate instructor of the Japan Karate Association where he holds a 4th degree black belt. Dr. Sven van der Meer received his PhD in 2002 from Technical University Berlin. He joined Ericsson in 2011 where he is currently a Master Engineer and team leader in the Ericsson Network Management Labs. Most of his current time is dedicated to designing and building advanced policy systems that can be used to direct the behaviour of complex event management systems. In the past, Sven has worked with Fraunhofer FOKUS, Technical University Berlin and the Telecommunication Software and Systems Group (TSSG) leading teams and projects, consulting partners and customers, and teaching on university level. He is actively involved in the IEEE CNOM community as standing member of programme committees (IFIP/IEEE IM, IEEE/IFIP NOMS amongst others) and in organising successful workshop series (IEEE MACE, IEEE MUCS, IEEE ManFed.Com amongst others). He also contributed to standardisation organisations, namely the OMG and the TM Forum. He has published in more than 100 articles, conference proceedings, books, conference papers and technical reports.